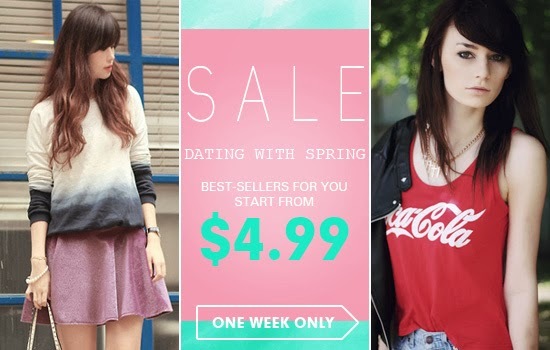 To celebrate the arrival of Spring, ROMWE's having another amazing sale for you guys and what's best is that prices start at just $4.99/P220 + FREE SHIPPING WORLDWIDE! As a matter of fact, it can. How about shopping for free? Now you can. Remember my post about getting a free ROMWE cash coupon just by answering 3 simple questions? If you haven't yet, you may check it out HERE. Don't forget! Get your free cash coupon HERE, then check out this awesome sale HERE.